For 13,000 years we have awaited for this time! Every 13, 000 years on Earth, a sacred and secret event takes place that changes everything. An event that changes the very course of history. And at this moment, this rare event is occurring, but only a few people know. Most of those who know have kept it quiet and hidden until now. What I am referring to is Earth’s Kundalini – also known as the Serpent of Light. Connected to the centre of the Earth is an energy that appears and behaves much like a snake as it moves, and similar to the way Kundalini energy moves in the human body. It is the energy that gives rise to the spiritual seekers everywhere on Earth, not only in the Ashrams and monasteries of the world, but also in ordinary life and in ordinary people, who in their own way are seeking God. The Serpent of Light is the secret energy that is connected to the hearts of all mankind. The Serpent of Light is always attached to a single location on the surface of the Earth, and stays for a period of about 13,000 years. It then moves to a new location for the next 13,000 years based upon cycles of time, or what we call the Precession of the Equinox. 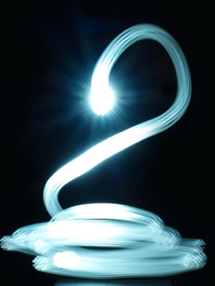 And when the Serpent of Light moves, our idea of what “spiritual” means changes. It transforms according to the new energies of the future cycle, leading us to a higher spiritual path. To the few that know of this event, and what is occurring all around the world and within ourselves, a wisdom is transferred, and a peaceful state of being becomes their inheritance, for they know the awesome truth!